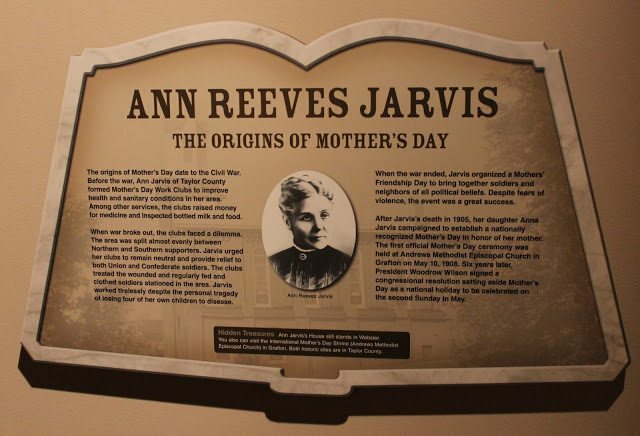 To her dying day, Anna Jarvis couldn’t stand Mother’s Day. It had nothing to do with her feelings for her mother, whom she adored. After all, that’s why she came up with the idea of having a day devoted to mothers everywhere. Jarvis was even excited when the first day was celebrated on May 10, 1908. She didn’t attend the first event, held in the Grafton, West Virginia church where her mother taught Sunday School. But she did send 500 white carnations in her honor. What turned her off was how quickly the day became commercialized. Mental Floss says she was so put off that she dubbed the florist, greeting card, and confectionery industries “charlatans, bandits, pirates, racketeers, kidnappers, and termites that would undermine with their greed one of the finest, noblest and truest movements and celebrations.” We’re waiting to hear what she thinks of Valentine’s Day. Given what Sir Tim did for all of us when he developed HTML and created the World Wide Web, he’s got a fair amount of credit in the bank. If he did have any major regrets about the web, we wouldn’t find it too difficult to forgive him, but his mea culpa relates to only two characters, the ‘//’ at the beginning of every web address. “Really, if you think about it, it doesn’t need the //. I could have designed it not to have the //,” he said, according to Business Insider. If you’ve ever found yourself yelling at your computer screen in frustration as yet another pop-up ad leaps into view, obscuring the content behind it, Zuckerman is the person to blame. Now head of the Center for Civic Media at the Massachusetts Institute of Technology, Zuckerman wrote an essay for The Atlantic last year entitled “The Internet’s Original Sin,” in which he took full responsibility for the pesky blighters. Working as an employee of web host Tripod at the time, Zuckerman explained that the company, which provided free web pages for consumers, had spent five years looking for a way to generate revenue. Flappy Bird was a sensation a year ago. What looked like a crude and simple game proved to be hugely addictive thanks to it hitting that sweetspot between infuriatingly difficulty and being just playable enough to make you think that next time you’ll do better. Downloads soared and controversy raged until, after 50 million downloads and advertising revenue that was hitting around $45,000 a day, Nguyen had had enough and announced that he was going to withdraw it from app stores. “I cannot take this anymore,” he tweeted. Apparently, the publicity generated by the game had attracted the attention of the world’s press and Nguyen was bombarded with calls, tweets, and emails. The removal of the game from app stores did little to quell the publicity. Nguyen received death threats, while phones with the game already installed sold on eBay for small fortunes, and app stores were flooded with copycat titles. Companies saw his invention as a way to save money, doing away with individual offices and replacing them with open plans and cubicles. Propst came to lament his invention. “The cubiclizing of people in modern corporations is monolithic insanity,” he said. Connare’s view, and one shared by lots of others, is that the problem with Comic Sans is not with the font itself, but its overuse and misuse. Designed for a Microsoft application aimed at children to be used as a replacement in speech bubbles for Times New Roman, Connare never imagined it would become so widely used and derided. Before the BMX arrived on the scene in the late 1970s, if you wanted a bike that wasn’t of the drop-handlebarred racing variety, Raleigh’s Chopper (pictured up top) was one of the few options. Loved by millions for its comfortable saddle, laid-back seating position, and those huge Harley Davidson-esque handlebars, it was one of Raleigh’s best-selling bikes in the 1970s. Kamran Loghman worked for the FBI in the 1980s and helped turn pepper spray into weapons grade material. He also wrote the guide for police departments on how it should be used. The spray has been used numerous times by police in the US, but following an incident at the University of California in 2011 when police sprayed the bright orange chemical on what the New York Times described as “docile protestors,” Loghman spoke out. “I have never seen such an inappropriate and improper use of chemical agents,” he told the Times.